There seems to be a lot of gluten free fresh pasta coming into the supermarkets at the moment. These Ugo Thrive filled pasta shapes are available from Sainsbury’s and Ocado. The first time I tried some filled GF tortellini I totally overcooked it, and it turned to mush, so I’ve not bought any for a while. However, the pumpkin and sage raviolini was enough to make me try again. We used to love pumpkin and sage ravioli as a quick weeknight tea, and I have really missed the flavour. One packet is enough for two, unless you’re super hungry! The kids had the spinach and ricotta tortellini with some tomato sauce and loved it. We shared the pumpkin and sage raviolini, just with plenty of extra virgin olive oil, black pepper and parmesan. Normally, I’d mix in a few green salad leaves too. The trick with these is to follow the instructions and cook them for no more than one minute, so they don’t fall apart. This was easy with the raviolini, but less so with the tortellini, as I usually cook the pasta, drain, then stir in the tomato sauce and heat it in the pan. To avoid collapse, I’d recommend cooking the pasta for only 30 seconds, and heating up the sauce separately first, so you don’t need to do too much stirring! Great when you need an instant meal! 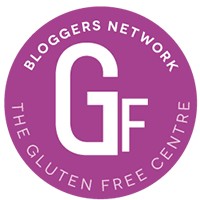 Tags: Gluten free cooking, Gluten free fresh pasta, gluten free pasta, Gluten free product review. Bookmark the permalink.